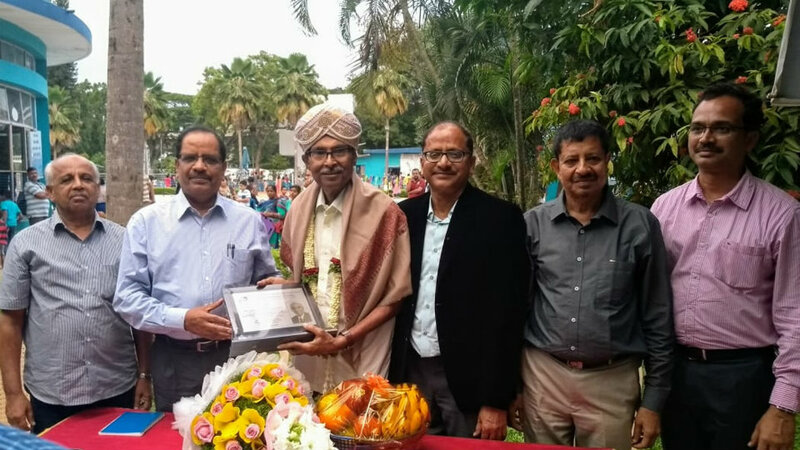 The Mysore District Swimming Association’s (MDSA) Executive Committee felicitated Neelakanta Rao Jagadale, Chairman, Karnataka Swimming Association (KSA), in recognition for his development of swimming in the State at Basavangudi Aquatic Centre in Bengaluru recently. Seen in the picture are (standing from left) M.P. Nabhiraj, Secretary, MDSA, Gopal B. Hosur (IPS), President, KSA, Neelakanta Rao Jagadale, Chairman, KSA, Dr. C. Krishna, President, MDSA, Dr. M.P. Manohar, EC Member, MDSA and Vijayaraghavan, Treasurer, MDSA.